The most beloved emblems of the modern Olympics have a decidedly dark past. 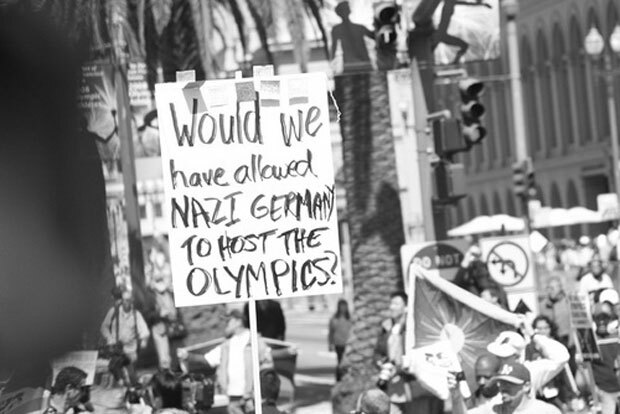 The torch relay that culminates in the ceremonial lighting of the flame at Olympic stadium was ordered by Adolf Hitler, who tried to turn the 1936 Berlin Games into a celebration of the Third Reich. And it was Hitler’s Nazi propaganda machine that popularized the five interlocking rings as the symbol of the Games.